Published October 31, 2018 at 585 × 432 in TORONTO’S LARGEST FISHING HOLE IS GRENADIER POND IN THE WEST END’S HIGH PARK. *** Local Caption *** Item consists of one photograph. 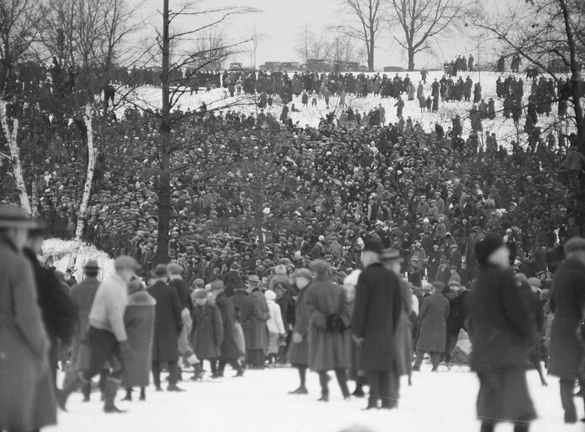 A note says that there are 20,000 people on the northern end of Grenadier Pond, which has ice 12 thick, watching a dog sled race.